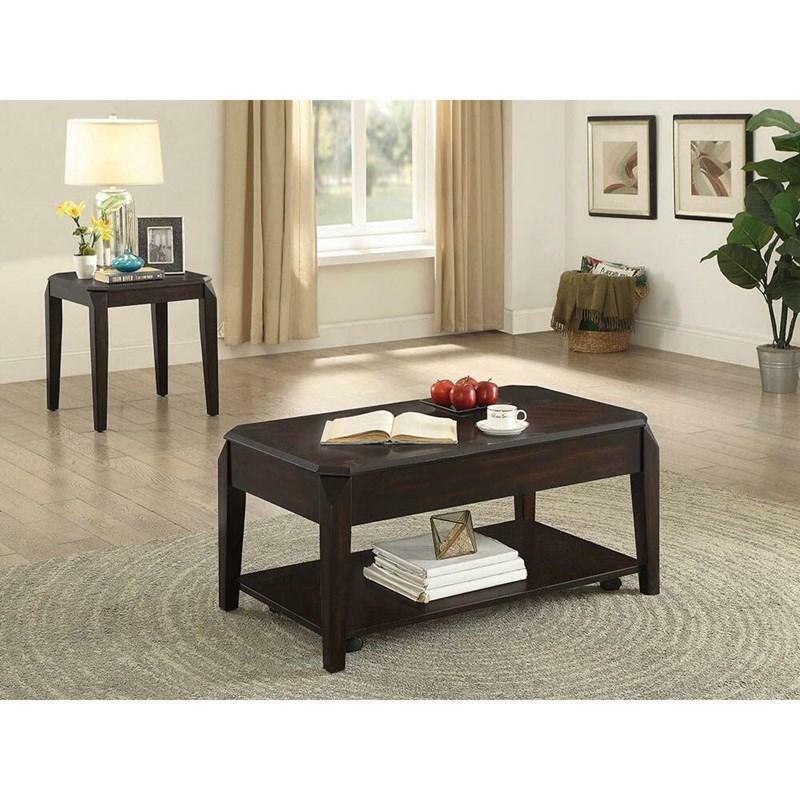 The beautiful simple design of this coffee table makes it a perfect addition to your living room. It comes in a rich walnut finish and stands on tapered legs. 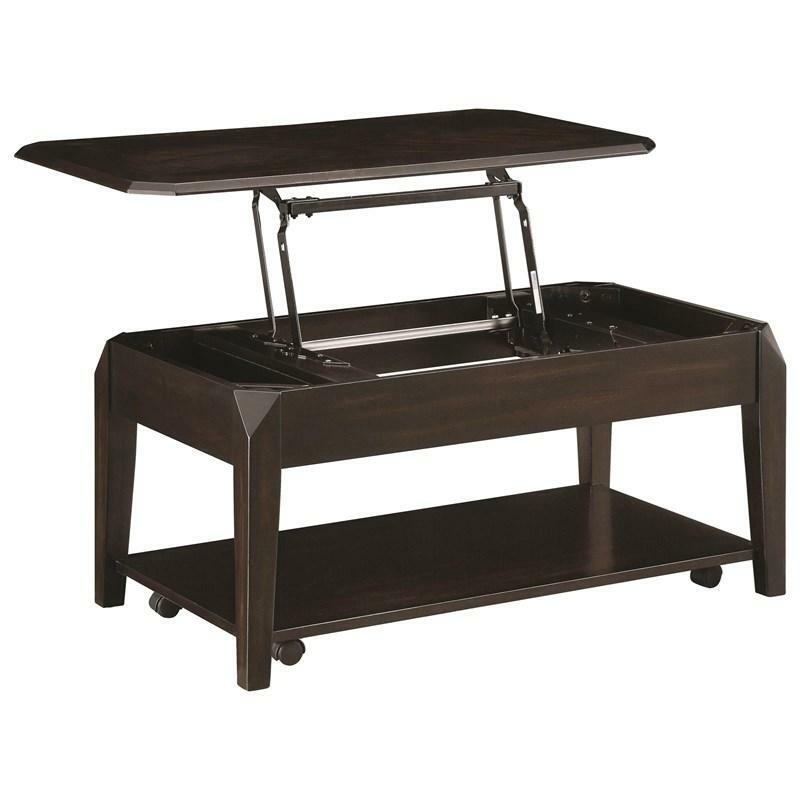 It features a lift-top with hidden storage compartment, a bottom shelf and convenient casters for easy mobility. Volume 6.06 cu. ft. / 0.17 cu. m.